This page shows the latest Tudorza news and features for those working in and with pharma, biotech and healthcare. AZ’s booked sales for Tudorza fell more than 50% to $18m in the third quarter. ... 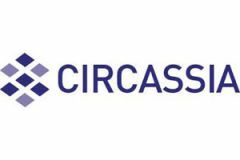 The agreement between Circassia and AZ also includes a deferred Tudorza option payment of $20m payable upon approval of Duaklir, plus a deferred consideration of $100m. The drug is a combination of Forest's long-acting muscarinic antagonist (LAMA) Tudorza (aclidinium bromide) and Astellas' long-acting beta agonist (LABA) formoterol fumarate.